DOWN PAYMENT ASSISTANCE FOR VETERANS ENDING THIS FRIDAY!!! 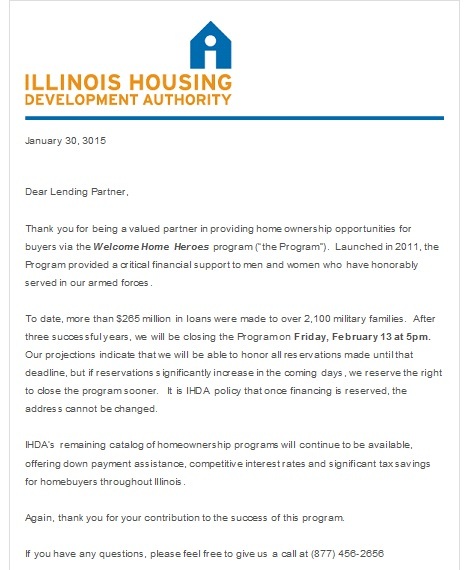 Illinois will be discounting the Down Payment assistance for Veterans this Friday February 13th! If you’re a veteran planning on purchasing or know someone who is, call me today! As a veteran owned bank and premier VA Lender, we specialize in helping veterans purchase their dream home! It’s not too late. I can reserve the funds before the deadline! In my last post, I discussed which banks have the tendency of denying you home loan. A big part of this problem are the caliber of employees handling your loan and the other are just the banks rules on approving each loan (specific bank overlays). Applying for a mortgage is the most important step in the home purchase process. As part of my loan application process, there are important key points I make sure to discuss. There are very important items to remember to do and of course not to do. Provide accurate information – i,e. accurate term on a job/length in present address etc. 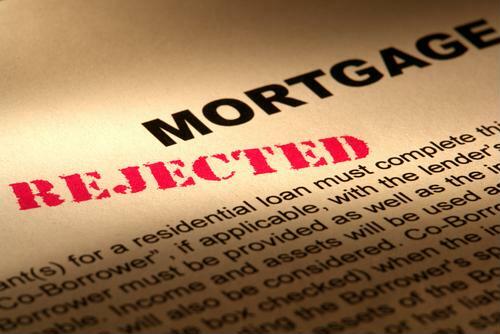 Don’t lie on your loan application – be truthful on your intentions of occupying the home, source of down payment etc. Start a loan process when you wont be available – Do not start the loan process if your planning a long vacation, go on maternity leave etc. Contact me today to discuss any questions you may have in regards home financing. With the Holidays coming up, stores are rolling out the “savings” with “discounts” and “zero % credit cards”. Reports show the Holiday discounts are coming sooner this year. Buyers, do not open new credit or increase your current debt until AFTER the closing. This can definitely put a wrench in purchasing a home and can easily disqualify you. Banks are required to do a soft pull on credit the day before closing to make sure NOTHING has changed. REALTORS***This is the best time to reach out to your clients who are either under contract or thinking of purchasing in the near future. Although I say this to all my clients, there is always one client who cannot resist opening that Bestbuy credit card to purchase a new flat screen. Call me with any questions! FHA Mortgage Premiums To Increase! EXTRA EXTRA!!!! READ ALL ABOUT IT! FHA is changing! Premiums to increase! Don’t wait any longer! Buy today! The National Association of Realtors’ Pending Home Sales Index rose 7.3 percent to 100.1 in November and is 5.9 percent above last year’s levels. The improvement brought pending sales to their highest level since April 2010 when the homebuyer tax credit was about to expire. Lawrence Yun, NAR’s chief economist, said some of the gains may have been due to delayed transactions resulting from previous contract failures. According to Yun, housing affordability is at a record high and there is pent-up demand from buyers who have been on the sidelines. Pending home sales rose in every region of the country. The West saw a 14.9 percent increase and the Northeast was up 8.1 percent. More here.